"We see things, but we don't believe them; we feel things—people watching us, sinister things following us—but we dismiss them as fantasies. We dream horrors, but try to forget them. And in the meantime, three people have died." Over the weekend, I read five horror novels, but none of them managed to frighten and disturb and fascinate me as the one I finished reading only a few days earlier, as the fourth and the last book for the R.I.P. Challenge. 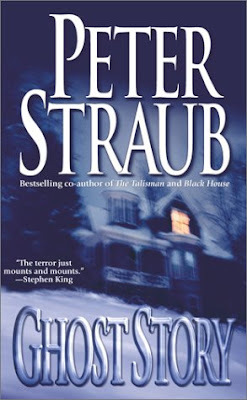 Peter Straub's Ghost Story is a homage to the best novels of the horror genre, and an amazing one at that. Summary: The book opens with a man driving a strange little girl in his car, in the middle of nowhere. He seems to have kidnapped her, but is more scared of her than she is of him. Right when he is about to kill her, about to drive his knife through her... the scene changes. Milburn is a fictional small town in upstate New York. An ageing bachelor, Sears James and his friend Ricky Hawthorne are attorneys. They also form half of what is now left of the Chowder Society. The Chowder Society is originally a group of five friends, who gather every month to drink and talk. That is, until one of them, Edward Wanderley, dies under mysterious circumstances, exactly a year before this story takes place. What is left now is the two attorneys, a doctor Joseph Jaffrey and Lawrence Benedikt. The Chowder Society meetings are private and the four don't talk about business or politics. They tell stories. Every month, one of them tells a ghost story - the scariest thing that ever happened to him. That is, until, one day that scary thing returns and their past comes back to haunt them. My thoughts: Ghost Story is a huge book, not only in size. 'Vast' may be a better word to describe it. It has numerous back-stories of numerous characters intricately woven together to form one novel. The book is not about one vampire, or one ghost - but the whole idea - the thing that takes on different forms to make us afraid, the thing that has lived in every culture in every country, and prevailed through all these years. The original evil. What I really like about the book is that it is more like a psychological thriller than a story with slimy white ghosts and creepy noises. I have never been more terrified of descriptions of fear and I've never been more certain, that someone's following me. The characters are wonderful. It's a long story and you have a long time to get to know them. By the end of the book, I was almost in tears when anything happened to my favourite people. It is amazing to get so involved in a story, and to be able to relate so closely to something about ghosts and demons! The book is a recommended read for anyone, even those who haven't read the genre before or don't consider themselves horror fans. 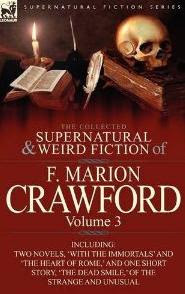 Believe me, once you read this book, you'll want to read more horror fiction; I know I did! One of the many things I am unduly critical about is graphic novels (or comic books.) I wasn't very fond of either, as a child, when the only comic book I ever owned starred Donald Duck. 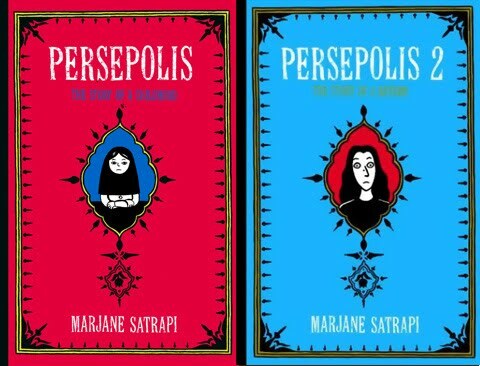 I recently read Persepolis by Marjane Satrapi, a beautiful and touching autobiographical comic book. The author shows us the memories of her childhood and adolescence, in the form of simple illustrations, just like a child would. Originally written in French, it has two volumes (The Story of a Childhood & The Story of a Return) which are illustrated in a charming black and white. The story is set during and after the Islamic revolution and the Iran-Iraq war. 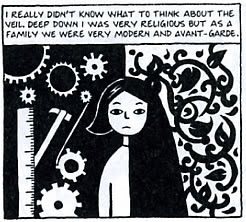 Brought up in Tehran, Marjane dreamed, as a little child, of being God's Prophet and later, during the revolution, dressed up and pretended to be the likes of Che Guevara. While she grew up in a relatively independent and liberal family atmosphere, the world around her turned into something entirely different. The book deals with themes like war, discrimination, religion, politics; all from that little girl's point of view. I never imagined a comic book could handle such a "grown-up" topic in such a "grown-up" way. You can't blame me, though; I actually don't know any one who reads comic books of any genre other than fantasy. What I loved the most about the book, is that it captures a youngster's perspective perfectly. I always think that when writing about his childhood, an author writes what he feels retrospectively (or what he thinks he must have felt back then.) Because of that, autobiographies tend to exaggerate a child's capacity to express or understand emotions. On the other hand, once you're in your forties, twelve-year-olds and eight-year-olds all seem about the same. So some authors make their younger characters too, well, childish. This comic book displays the little girl's innocence wonderfully - and without making her seem naive. And as the girl grows up, you grow up with her! Now, I am not claiming that I am suddenly a fan of comic books about superheroes or Japanese animated characters with uncharacteristically huge eyes. 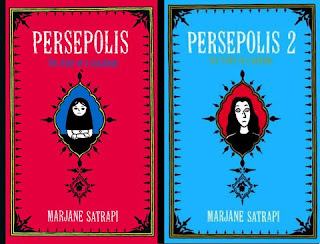 I'm just saying, I'll try not to be so judgmental the next time; because this particular comic book (Persepolis) is certainly one of my favourite books! Last Book Read: The Hellbound Heart by Clive Barker (detailed review coming up shortly) - I loved this book. It is actually the novella on which the movie Hellraiser is based (I haven't seen the movie, though.) 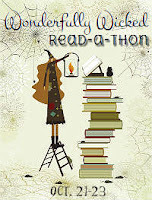 In fact, I am wondering if I should add another Clive Barker novel to my weekend read-a-thon reading list! Do you remember that one book that really turned you into a bookworm? I can't say that I do. But one book always stands out in my memory - it was one of the few good novels in my school library. It was a book by Robert Ludlum and I loved it. It might have been the book that turned me from the 'likes-to-read girl' to the 'never-stops-reading girl'! But the story neither starts nor ends there! I was always sort of a bookworm; but I was never too eager to get out of my comfort zone. I always read the same genres and even the same old authors. So, when I randomly borrowed this book from the school library, I didn't read even a single page for two entire weeks. 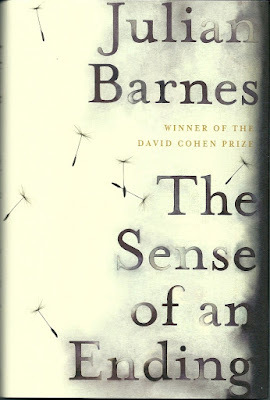 On the last night, for God knows what reason, I started reading the book. I read late into the night and woke up with the book next to me. I read throughout the morning, thoroughly enjoying the experience. I never finished it, though. And I had to return it the same day. Here comes the crazy part. All I could somehow remember about that book was that it was written by Robert Ludlum. How I could have forgotten the book title, I don't know! Or the plot, for that matter. I read many Robert Ludlum books after that, bought and borrowed, and I liked them. But I never did find that one. That is, until now. You know that feeling, when you are trying hard to remember something and it constantly keeps nudging the insides of your brain making sure you are unable to concentrate on anything else? The battered old book has been doing that to me for the past... about six years. No kidding. When I somehow ended up on Robert Ludlum's Wikipedia page today, it got me wondering how long it would take to skim through the summaries of Ludlum's 23 thriller novels and find out that mystery book, once and for all. Well, it takes two hours and a bout of scolding from your mother for staying up too late. As it turns out, it is a spy-thriller novel called The Scorpio Illusion (the name sounds strangely familiar now; you know, as if I had known it all along.) I can't wait to buy it and read the whole book and you know, re-discover why I fell in love with reading in the first place! So, do you have a bookish story of your own? While I do like reading horror, I am still not quite sure about watching horror movies (without, that is, freezing of shock.) Which is why I decided to watch only animated (and hence, not scary) movies for the R.I.P. Challenge for now. After watching Tim Burton's Nightmare Before Christmas, I was thinking of re-watching Corpse Bride. 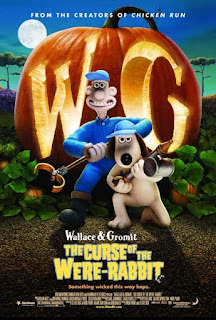 Instead, someone recommended this movie to me - Wallace & Gromit: The Curse of the Were-Rabbit. It is an Academy Award winning horror-comedy flick, starring (the voices of) Helena Bonham Carter and Ralph Fiennes. I loved it! Wallace, the cheese-loving inventor, and his intelligent but humble pet dog, Gromit run the pest-control (well, relocation) service "Anti-Pesto". They get rid of the town's worst and peskiest rabbits, and are loved by the townspeople. Only days before the town's famous Giant Vegetable Competition, the most prized vegetables start mysteriously disappearing. It is up to Anti-Pesto to save the townspeople from what appears to be a giant monster of a rabbit. I adored the clay-mation. The characters were simple but charming! Gromit is officially one of my favourite cartoon dogs. He is quiet and faithful and incredibly patient (considering that he is far smarter and better at his job than the incompetent Wallace.) And just look cute he is! Having no voice, he only consists of a few extremely expressive pieces of clay. Aside from the wonderful animation, it was the silly, cheesy British humour that I loved. The plot is slightly overdone; and the movie could have been shorter. Still, being a witty parody of almost all horror and thriller films, it is a great source of entertainment! I thought: should I be worried? I was under arrest. In a town where I'd never been before. Apparently for murder. But I knew two things. First, they couldn't prove something had happened if it hadn't happened. And second, I hadn't killed anybody. Not in their town, and not for a long time, anyway. 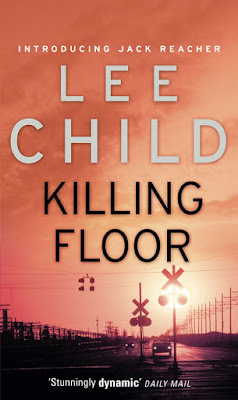 About the book: Killing Floor is a crime thriller novel by Lee Child. 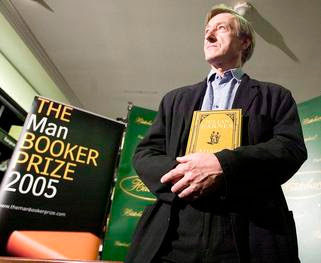 Published in 1997, it is Lee Child's debut novel. It is the first book in the Jack Reacher series. Short summary: Jack Reacher is arrested for murder, almost as soon as he enters the tiny town of Margrave, Georgia. 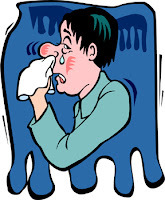 But the tough ex-military policeman has been through much worse. Unable to convince the cops of his innocence, Jack Reacher decides to take matters in his own hands. As he tries to uncover the truth himself, he stumbles across a much deeper conspiracy in Margrave. My thoughts: It was a good read. With the fast paced action, the twists in the plot, the strong (albeit stereotypical) characters - it was a really good read. It was the sort of thing that I'd very reluctantly add to a list of 'Guilty Pleasure Reads', though. What I didn't like was the drama. The first thing I thought was it would make a good movie (I don't know if there already is one..?!) At times I found it too brutal, I found some dialogues kind of cheesy, and I didn't like the fact that most of the core happenings in the book were shaped by some pretty huge coincidences. It felt almost as if the writer had planned the ending first, and wrote the book backwards. So when I read it from the starting, it was hard to believe how the characters guessed and assumed all the things they did; it was almost as if they knew the end. The plot holes were a huge disappointment. I thought of the book as something written to attract a huge number of fans - which it rightfully did. It was a fun read, but I also thought it could have been much better. "It was a long time ago, longer now than it seems, in a place perhaps you've seen in your dreams. For the story you're about to be told began with the holiday worlds of old. Now you've probably wondered where holidays come from. If you haven't, then I'd say its time you've begun." I first watched a Tim Burton film ages ago - the animated musical Corpse Bride, which I remember loving. Much recently I read an adorable book of short poems also by Burton called The Melancholy Death of Oyster Boy and Other Stories. 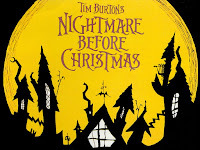 So, as a part of the R.I.P Challenge (Peril on the Screen) I decided to see another of Burton's animated movies that I never got around to watching till now - The Nightmare before Christmas. In the unique reality where every holiday has its own world, we meet Jack Skellington of Halloween Town. The Pumpkin King, the brains behind the festival of Halloween, once stumbles across the world of Christmas. A misfit in his own world, Jack now believes it his sole purpose in life to improve his festival by merging the worlds of Christmas and Halloween. What follows is a wonderfully funny tale of twists and turns, when the monsters of Halloween Town start preparing for Christmas. It is on the night before Christmas, when Skellington kidnaps 'Sandy Claws' to replace him, that our world sees what has become of Christmas. The movie is for 'kids' of all ages. It's awesome. The detailed animation, of course, is what makes the movie so great. The wonderful cartoons reminded me a lot of the thin, dark, stick-like creatures in Corpse Bride. The characters are unique and the dialogues are genuinely funny (well, most of them, anyway.) Even though the story is kind of ridiculous, I think I would have pretty much loved it when I was a kid. If it were a little funnier and made a little more sense, I would have enjoyed it even more. If not anything else, though, the movie does get you in the holiday spirit!